Hey, I don’t know how you did it but I’m impressed. I have been trying to get my Lacie ethernet disk content (powered by twonky) working for 3 days and I can’t. 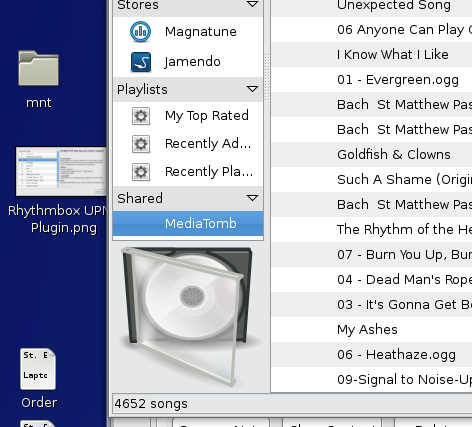 Rhythmbox doesn’t see it and I’m stuck with lame daap support. Did you do something special? (python stuff installed). It was working well on gutsy with extra packages found on the web. You’re right. I hadn’t got around to testing RB across a network. At the moment, it only seems to identify UPNP servers on a local machine making it rather pointless. There must be some network configuration or route that is required, but as yet I can’t seem to work it out. Previous Previous post: BBC iPlayer on Wii!